For twenty years, Leslie Carver has been coaching managers and leaders to take on new challenges and develop their leadership potential. She has an exceptional ability to listen to her clients and get to the ‘heart’ of the challenge they are facing. She’s passionate about assisting individuals to reach a healthy, balanced, and effective business perspective that allows them to best serve their organization and themselves. Leslie is gifted at simplifying issues, getting to the core of issues, and bringing a fun style to problem-solving that clients find eminently workable and encouraging. Leslie has the ability to move clients to change habits and patterns that block productivity so that they may have a greater impact on their organizations. She also consults with executives who desire to bring more balance and power to their leadership. Leslie has an M.S. in Career Development from California State University at Northridge and a B.A. in French from the State University of New York. Prior to the past two decades work in leadership development, Leslie worked for eleven years in the computer industry, four years as a programming manager and seven years in a technical capacity as a systems programmer. 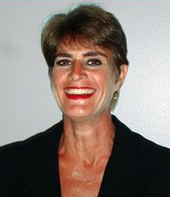 During her tenure in the computer field, she gained a wealth of practical and management experience and assisted employees in the areas of leadership, project management and interpersonal skills. Leslie’s corporate experience spans several industries, including ABC, Sony, Experian, Transamerica, Ticor Title Insurance, AMD, Siegel + Gale, Ogilvy, WeberShandwick, and FedEx.